Our heart goes out to those killed and hurt in this deadly attack. Two loud explosions rocked the main airport terminal in Brussels, Belgium on Tuesday, a day after authorities said a new suspect in the Nov. 13, 2015 Paris terror attacks -- possibly the bomb-maker -- was likely loose in the city. 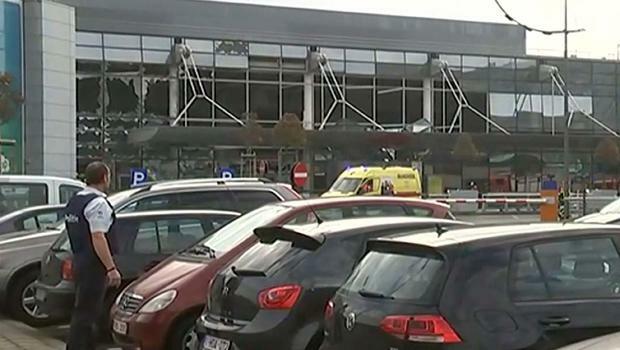 Belgium's public broadcaster RTBF said at least one suicide bomber was behind the explosions at the airport. The broadcaster also cited hospital officials as saying there were as many as 13 fatalities and dozens of people injured in the blasts, which witnesses said hit the departure hall at Brussels Airport. Dancing with the Stars is Back tonight, and with it Tom Bergeron and unfortunately Erin Andrews, she still drives me Crazy! Len Goodman is back but Julianne Hough and pro Derek Hough are MIA, Carrie Ann Inaba and Bruno Tonioli are back, ya where would they go??? The final Question is where the Hell is Chelsie Hightower and why isn't she BACK????? Joey Martin Feek lost her battle with cancer Friday and the world lost a truly Gifted and Beautiful Lady.